Ridpath's Auto Center " For All Of Your Automotive Needs - Since 1981 "
When it comes to your vehicle warranty, your automotive dealership has a ton of tricks up their sleeve. You receive the fancy postcards. Your inbox is full of inviting and engaging emails. They always look good, and they make all the right promises. 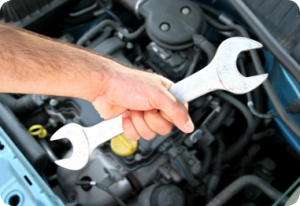 Some automotive dealers will even try to pressure you into signing up for their auto repair services. Pressure? Some would even say threaten. Can your vehicle warranty be voided by your auto dealer if you simply do not comply with the dealership’s invite for automotive maintenance? Absolutely not! When you purchase a new car from an auto dealer, it automatically includes a factory warranty. The automotive dealer would have you believe that you need to return to them to perform the auto maintenance or you will receive a void vehicle warranty. This is absolutely untrue. According to the Federal Trade Commission (FTC), an independent mechanic can perform routine maintenance and auto repairs on your vehicle. In fact, the Magnuson-Moss Warranty Act, which is enforced by the FTC, makes it illegal for automotive manufacturers or dealers to claim that your vehicle has a void vehicle warranty, as well as deny automotive repair coverage under your vehicle warranty simply because an auto mechanic outside of the dealership performed your auto repair. Get Social With Ridpath's Auto Center! Michael Ridpath Posts His Personal Car Care Tips Regularly!